A longtime fan of Bonny Doon wines and winemaker/philosopher/wordsmith/raconteur Randall Grahm, I especially like his Bonny Doon Clos de Gilroy ($19). 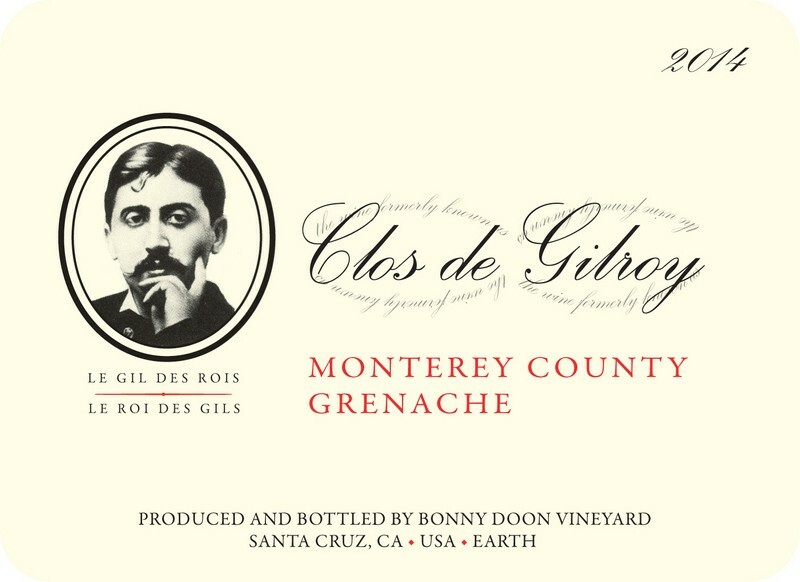 As Grahm puts it, Clos de Gilroy isn't made from the "weapons-grade Grenache" that he uses to produce Bonny Doon Le Cigare Volant. This is a softer, more feminine, spicy wine that's mostly Grenache, with a smidgeon of Mourvédre and what Randall calls "a homeopathic amount of Syrah" blended in. The exact blend ratio is 89% Grenache, 9% Mourvedre and 2% Syrah. It’s a wildly versatile food wine and particularly floral and elegant for a Grenache-based wine. There's lots of spiciness on the nose, with notes of raspberry, rhubarb, cherry and strawberry fruits on the palate. Try it with grilled meats and roasts; it's an outstanding, all-purpose autumn wine.